Penny Vergeest is a different breed of entrepreneur! I met Penny in Hamilton New Zealand. She owns the New Zealand Skin Care Company. Penny does business God’s way. She has proven that walking with God is good for business. When I heard how she released the power of forgiveness into her business, it was such an amazing story, I knew you would want to hear it too. In this video you will learn how Penny’s business was unfairly treated and her reputation tarnished but she insisted on a Godly response to the offence. Just click on the video and see how God honoured her actions. To live a transformed life, you need to bring God into your work life every day. If you would like to order unique skin care products from a Christian business that lives by its principles then visit the New Zealand Skin Care Company. What results have you seen from bringing God to work with you? Just leave your comments in the box below. That’s awesome! May the Lord continue to bless their business many times over. wow, what a great testimony. Thanks for sharing that. God is so great! He asks what seems like much from us but then is sooooooo ready to bless us over and over again. I have been in business for 15 years now on my own, but prior to that I was in a partnership with my five brothers, doing construction. We parted company 17 years ago (I was secretly voted out of the partnership because I refused to work Sundays), what I now consider a blessing in disguise. To make a long story short, we forgave one another. I started my own company and designed mostly houses for 14 years. Last year I prayed that God would help me find more commercial work to add variety and interest to my work. Within one year I have all the commercial work I can handle, mostly through my brother’s company, still as an independent consultant, which is so cool! I realized not long ago that if we hadn’t forgiven one another then this wouldn’t be possible. Whenever I forgive I am blessed by it in different ways. I’ve been healed, received peace of mind and heart and in this case prosperity, because commercial work pays more than residential! Yes, people think we’re odd for thinking and acting the way we do, but the outcome is profound and wonderful and awesome. Simply awesome. Alcide, what a great example of forgiveness in action. Thanks for sharing such a practical example. I SPENT ALMOST 4 MONTHS IN A COMA AFTER A VERY SEVERE TRUCK ACCIDENT TOOK THE LIFE OF ONE OF MY BEST FRIENDS . THE PERSON DRIVING THE TRUCK (WHO WAS NOT INJURED AT ALL) CAME TO VISIT ME IN THE HOSPITAL . I COULD TELL HE WAS NERVOUS APPROACHING ME AND SOMETHING SAID INSIDE OF ME , ” FORGIVE HIM NO MATTER WHAT HAPPENS . 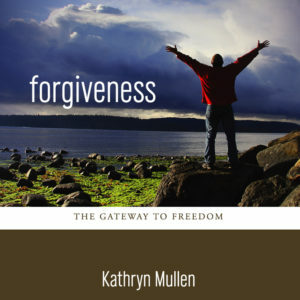 ” HE FINALLY GOT AROUND TO ASKING MY FORGIVENESS AND, I INSTANTLY SAID , ” I COMPLETELY FORGIVE YOU AND GOD DOESX, TOO IF YOU WILL LET HIM .” HE STARTED TO CRY AND THEN LEFT . I FELT SUCH A PEACE FALL OVER ME FOR FORGIVING HIM AND I’VE NEVER HAD A SECOND THOUGHT ABOUT IT . ALMIGHTY AND SOVEREIGN GOD IS GREAT AND TO BE ADORED !!! Wow Larry! That’s a powerful testimony. Thanks for sharing it with us.